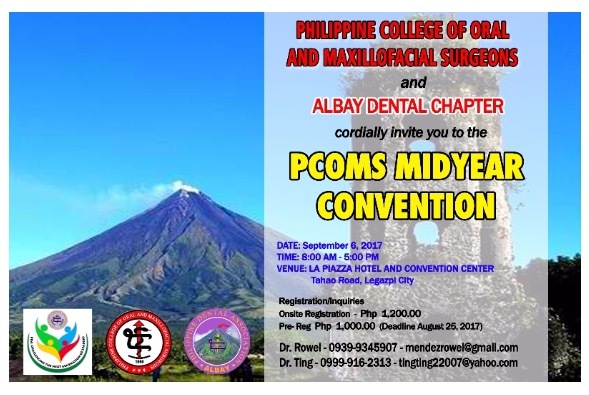 PCOMS 2017 Midyear convention will be hosted by the Albay Dental Chapter. It will be held this September6, 2017 at the LaPiazza Hotel and Convention Center, Legazpi City Albay. Backdropped by the majestic Mayon Volcano, a perfect day of learning focusing on treatment planning and diagnosis in dento-alveolar surgery will be planned. 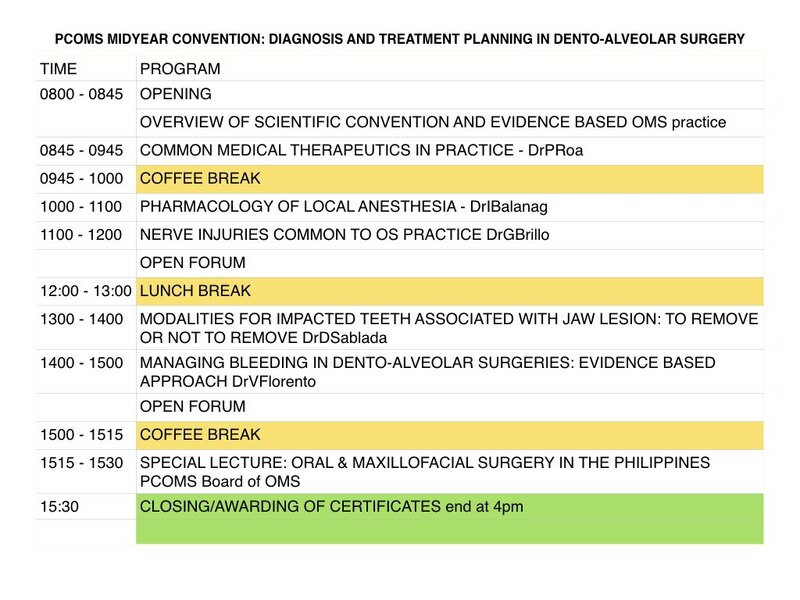 The Scientific Committee following an evidence-based practical approach has fielded 5 lectures that will help general practioners in common dento-alveolar surgery. Please send me an invitation as I am in government service. My full name is Dr. Maria Consuelo M. Macapagal, Sr. Dental Services Officer. Please address the letter to our Dept. Head Ms. Celestina R. Ador, Asst. Vice President, Auxiliary Services Department, PAGCOR. Thank you.